Our tour guide Matt was awesome! Very detailed with great information about plants, trees and rock formations. He provided the fun along with the learning about the history of Sedona! I recommend this tour and working with this company- they all were great. Ask for Matt! He'll deliver the fun and learning! Driver/guide was excellent - helpful, knowledgeable and professional - but very considerate and friendly. The jeep ride was more and better than expected. Mary, our driver, was so informative which really made the trip enjoyable. 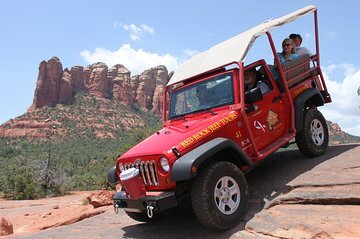 A great way to begin to learn about and experience the Sedona landscape. Our driver, Joe, picked us up at the hotel and the Soldier Pass turnoff is quite close to the city center. There were only the two of use and Joe which made for a more personal experience. Red Rock Jeep Tours is the only commercial tour group allowed on that trail, but we met one other RRJT group and several sets of vehicles driven by others on the trail. One can also hike along the trails. Saw the juniper tree that was the model for the tree in Disney's Fantasia, the seven sacred pools, and the Devil's Sinkhole. Joe was an informative guide, touching on geology, history, flora and fauna of the area in a manner appropriate for first-timers. We were able to get out of the jeep several times to walk about and see the various sites, which was pleasing. The ride can jostle a person, particularly if you are in the rear seat, but seat belts keep you secure and the driver keeps a slow pace, one that allows you to feel the off-road bumps, tilts, and inclines but without any distress. Well worth the price. We had a wonderful time with Sid, our guide. He was knowledgable about the area, friendly, and gave us a fantastic Jeep trip through Soldier Pass. I highly recommend this tour. Had a great time and our driver, Pete, was an excellent four-wheel driver over boulders and steep terrain. He was also very knowledgable about the area history. Very fun!  Lil Deb was experienced and knowledgeable about the area. We highly recommend taking this tour! My wife and I had an absolutely wonderful time. Dan was our driver. This man was incredibly intelligent. I have never met an individual so knowledgeable about both the history of the area as well as the geology. We went up and down places I didn't know that we could go. This was a great time and I highly recommend it to everyone. This excursion was a rollicking journey over rocky trails with many seemingly challenging up and down hill portions. Fortunately our guide and the sturdy jeep took on these obstacles flawlessly and with many cheers. We enjoyed the commentary and have a far greater appreciation of desert challenges, beauty and survival.